The inaugural Kindergarten class here at Nature Preschool is deep into its third month of school. If you walk into the classroom you will notice the book corner, art studio, block area, science and math manipulatives, and many other learning centers typical to an Early Childhood classroom. More likely however, you will be drawn to the more homey aspects of the room–the number line made from acorns and sticks, the wall of photographed discoveries, or the shelf of beetles, millipedes, and other nature treasures. 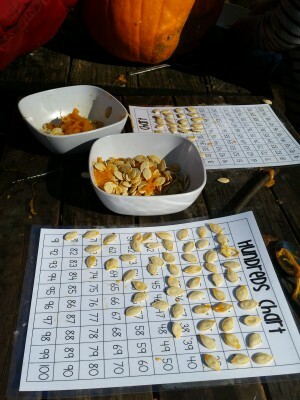 Just like the preschool classes, the (self-proclaimed) Mighty Oak kindergarteners operate on an emergent and inquiry-based curriculum and spend a large portion of their day outside. 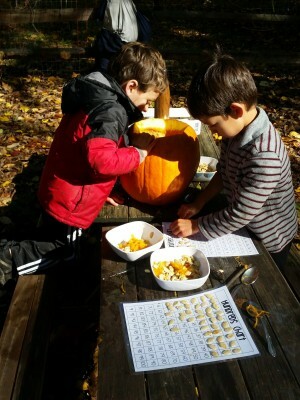 Kindergarten at the Schuylkill Center is designed to be an extension of the Nature Preschool experience, while integrating the skills and concepts being taught in kindergartens all over Pennsylvania. So… how does that work? How do the Mighty Oaks enjoy these experiences while still being ready for first grade come June? A large part comes from the way in which the program is approaching the learning standards. Recognizing that the most meaningful learning happens organically and from natural interests, the teachers first take note of which developmental areas are being met as a result of their study of interest. 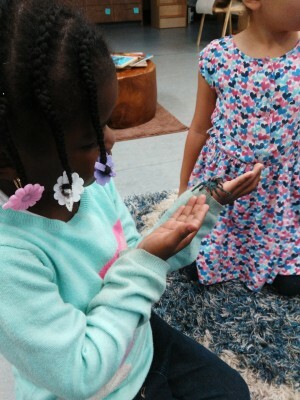 For example, after several spider webs were found during outdoor exploration (and a general love for creepy crawly things noted) the Kindergarten class dove deep into learning more about these special arachnids. The group discussed questions they had, read fiction and nonfiction stories, counted and labeled body parts, drew findings in their journals, and designed spiders of their own with natural materials. During this study, the portion of our schedule devoted to literacy activities focused on the letter “S” and its corresponding sound. The afternoon math time was spent counting, sorting, and playing greater or less than games with spider rings—perfect for the late October season. As these activities are happening, the teachers work to connect their practice to the Pennsylvania Early Learning Standards. They continue to integrate learning content (math, science, literacy, social sciences, art, gross motor and fine motor) into daily happenings, and refer to the standards set by the Office of Child Development and Early Learning, PA Department of Education, and PA Standards Aligned System. At various points throughout the year, the teachers will evaluate which standards have been met naturally and which may need to be intentionally worked into the curriculum. The goal is to ensure that the children are developing at their individual level while also obtaining the important skills needed throughout their school experience. The emergent and inquiry-based curriculum gives children the opportunity to ask questions, think critically, and develop in an authentic way. The overlying framework allows teachers to identify big ideas, concepts, and skills that are relevant to the world around them. 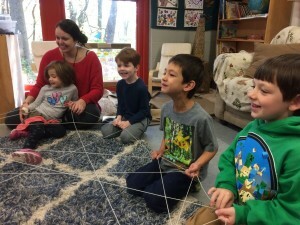 As traditional schools are increasingly defined by predetermined timelines and set curriculum schedules, the Kindergartners here at Nature Preschool are trying a fresh approach with organic, child-centered learning. 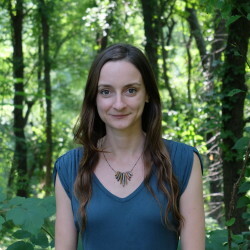 Nicole Brin is Assistant Director of Early Childhood Education at the Schuylkill Center. She spends each afternoon facilitating learning with the Kindergarten class and has a deep interest in child-led learning. In her free time she enjoys creating art from natural materials and finds it most rewarding when sharing the beauty of nature with her students. 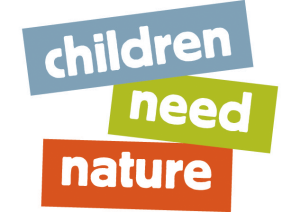 This entry was posted in Children Need Nature, Education and tagged children need nature. Bookmark the permalink.